This week, at Dior’s disco-inspired party at Poppy nightclub in West Hollywood, Camilla Belle arrived wearing head-to-toe Dior. We’re talking everything from her silky silver dress and J’Adior heels to her entire beauty look under the expert hands of makeup artist Mai Quynh. A little bit Old Hollywood with a modern spin, the look taps into Belle’s affinity for nostalgic style. So, it’s no surprise that her look borrows some style notes from the golden age of glamour—her dress even looks like it could have been plucked straight from Elizabeth Taylor’s closet. But Belle strikes the right note by blending in some modern touches—like playful J’Adior ribbon pumps and unexpected makeup—that makes her whole look feel endlessly cool. 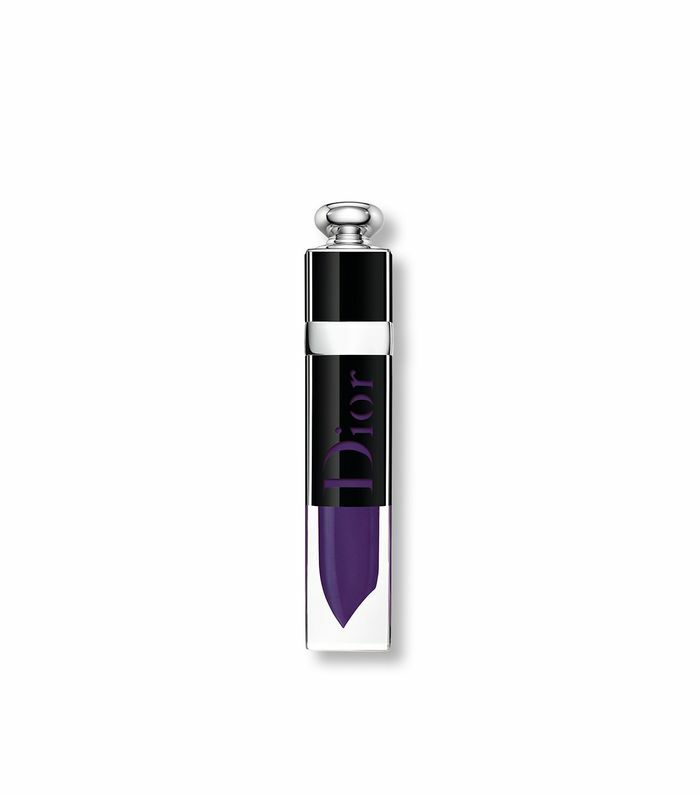 She even added a vampy bold violet lip shade to match her outfit (with Dior’s new Addict Lacquer Plump in 998 Midnighter). Ahead, see pictures from Camilla Belle’s photo diary from the event with a behind-the-scenes look at her beauty prep and moments inside the event. Then, read our interview with the actress, who shares her ultimate style muse and details about the project she’s working on. I would say that my style is in one sense consistent but at the same time constantly changing. I usually lean toward dressing simply and amplifying with accessories. I enjoy taking risks and wearing pieces that I find to be slightly daring, but class is always key. Your mom was a fashion designer. Has she had a big impact on your style? She has had an immense impact on my style and is still my stylist today. I have learned almost everything from her throughout the years. How has living in L.A. influenced your style? L.A. is very relaxed. I was born and raised here, so my sense of simplicity, I suppose, comes from that. I love wearing colors and patterns, which I feel comes from my mom’s Brazilian background but also must stem a bit from the California sunshine and lifestyle. If you had the chance, who would you switch closets with? I would without a doubt switch closets with Elizabeth Taylor. The gowns and the diamonds! I honestly don’t have any secrets! I’m a true believer that a healthy lifestyle and diet reflect on your skin. I never go to bed without washing my face, try to get a good night’s sleep, drink a lot of water, and eat a very balanced diet. How is working as a woman in your industry empowering? I think it is empowering being a woman no matter what industry you’re in. When it comes to the entertainment industry, I know that there are so many stories to tell, so many hearts and minds we can touch with this medium, and I am so lucky to be a part of it. If I can inspire one girl out there with what I do, that makes everything worthwhile. I have been developing many projects, and I’m currently shooting a documentary on female designers in the fashion industry, which I am very excited about!